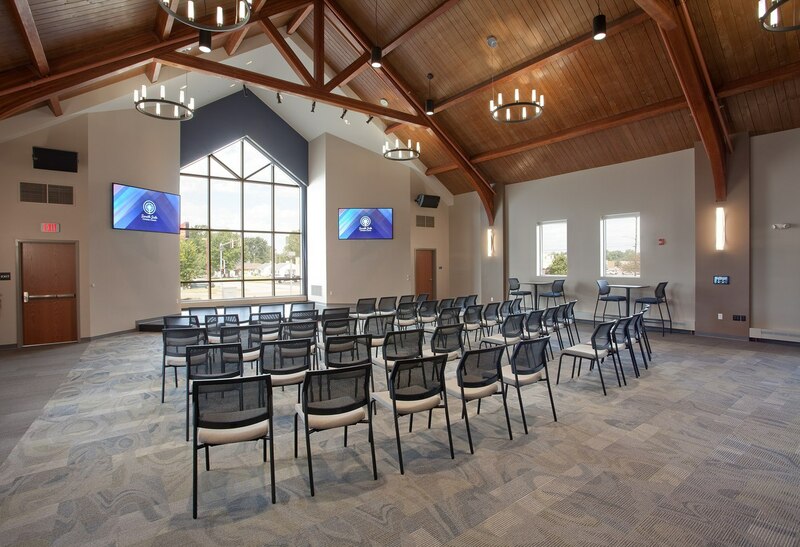 South Side Christian Church is devoted to playing a prominent role in preserving and enhancing the Springfield, Illinois, neighborhood in which the church is located. 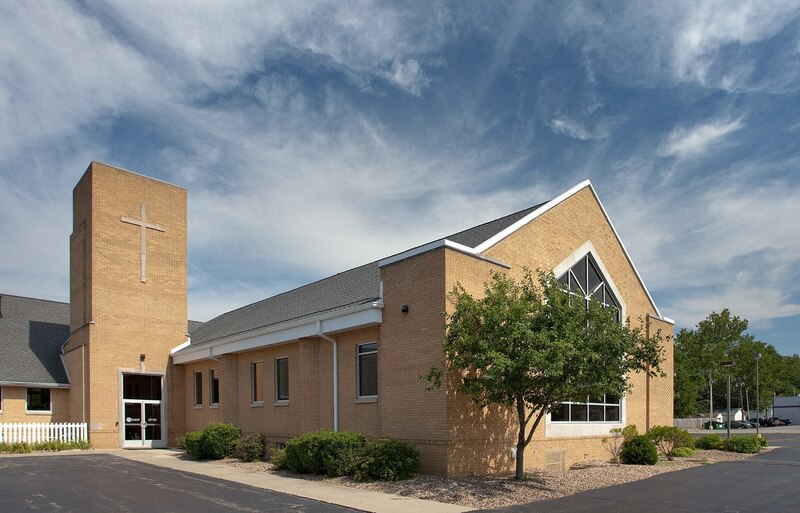 Situated in a high-traffic, older part of the city, neighbors constantly walk across the church’s property to get to other local businesses, and commuters catch the bus at the church’s parking lot. 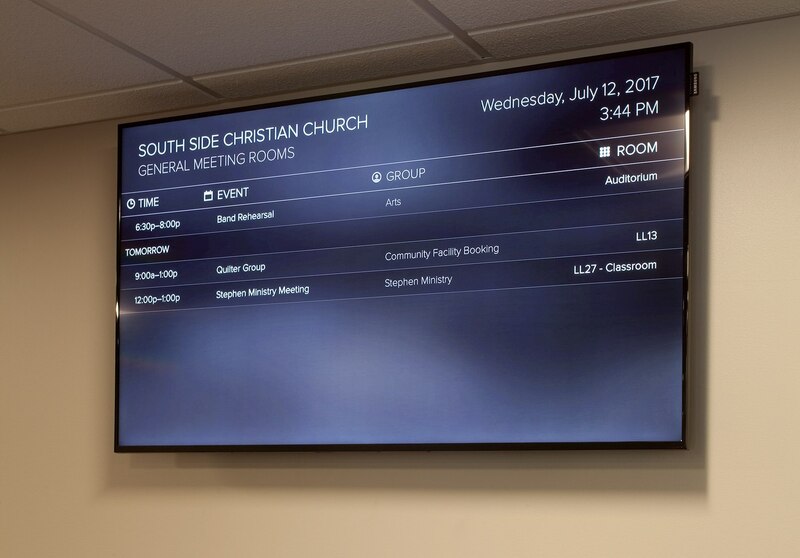 South Side wanted their church to convey the hope they have for their neighborhood to once again be a thriving hub for businesses and residents, to provide effective space for building community within its walls and serve the needs of the local residents. 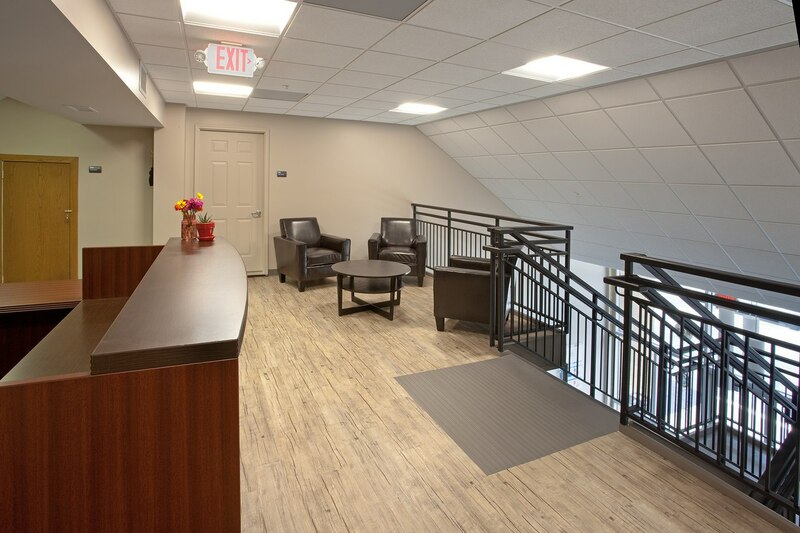 Their building, however, was aging and in need of significant updating. 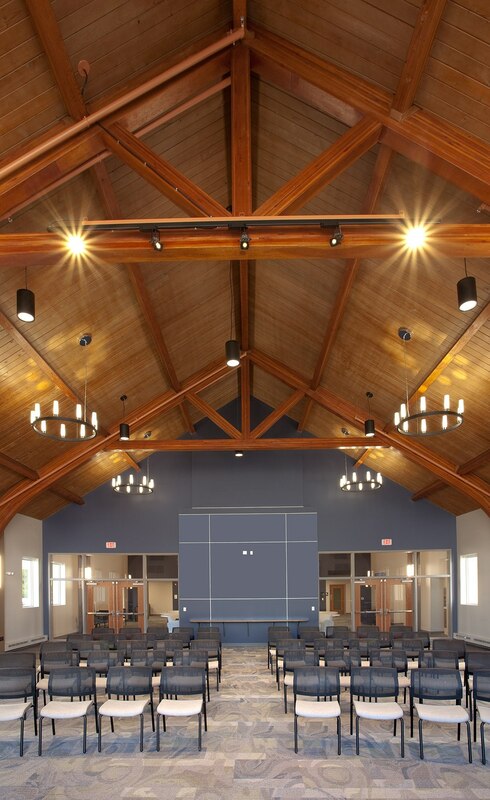 Though they had a large narthex at the front entryway, they didn’t have any space that could accommodate large group gatherings. 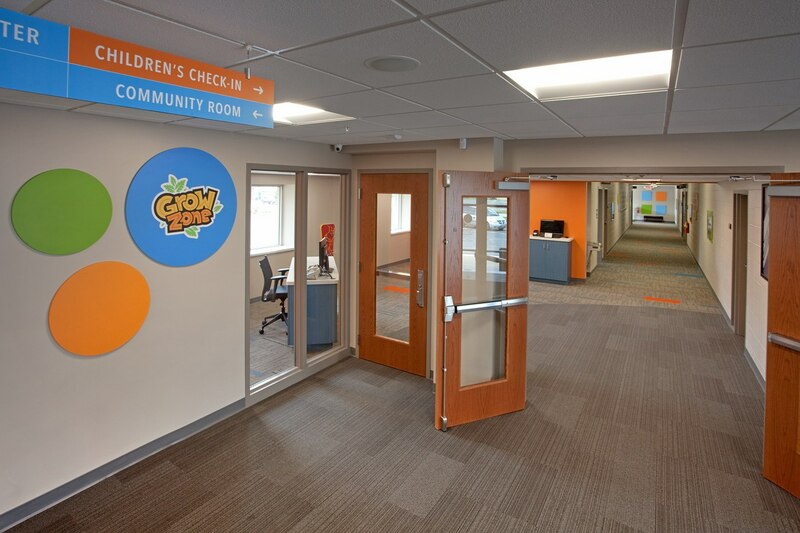 They also had multiple entries throughout the building, which made it difficult for people to find their way through the building or to connect with each other in between services. 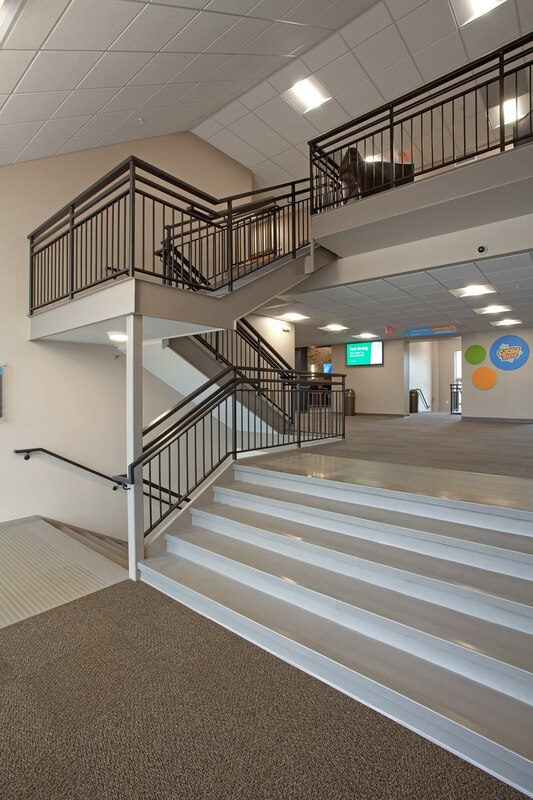 Too much of the church’s square footage was taken up by a gym that was poorly designed and rarely used. 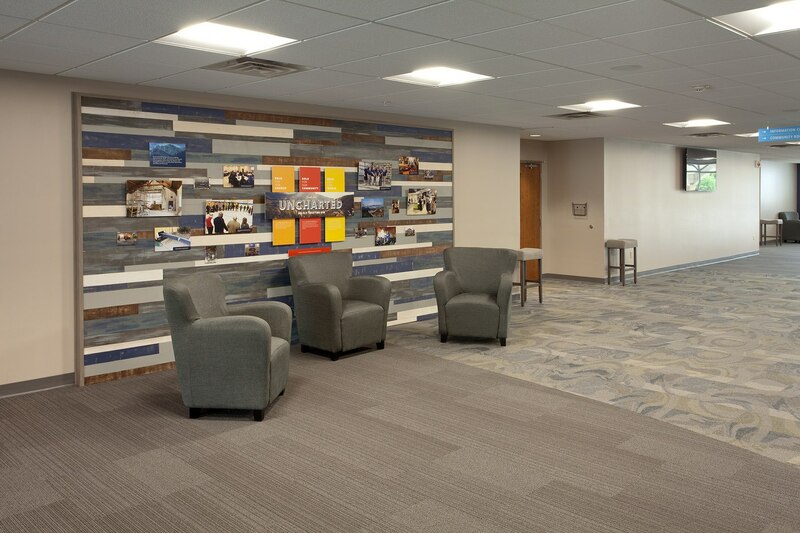 Aspen Group did a holistic assessment of the entire building in light of the church’s mission and vision to be a beacon in the community. 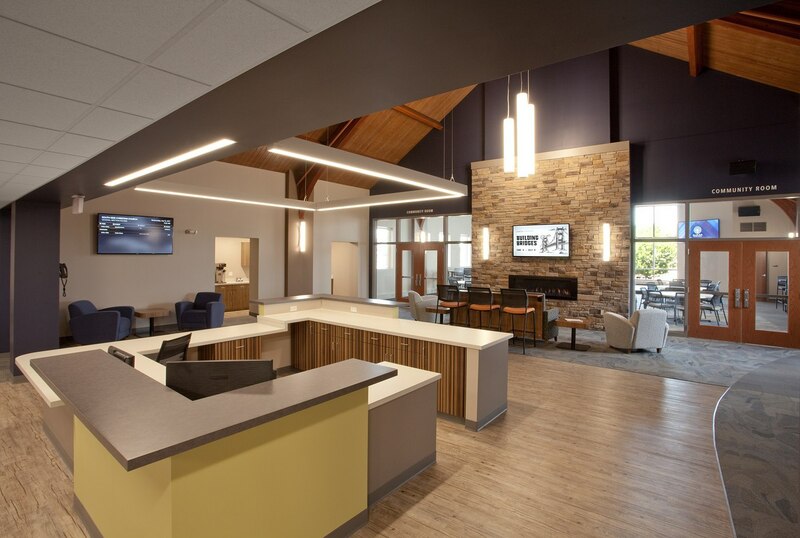 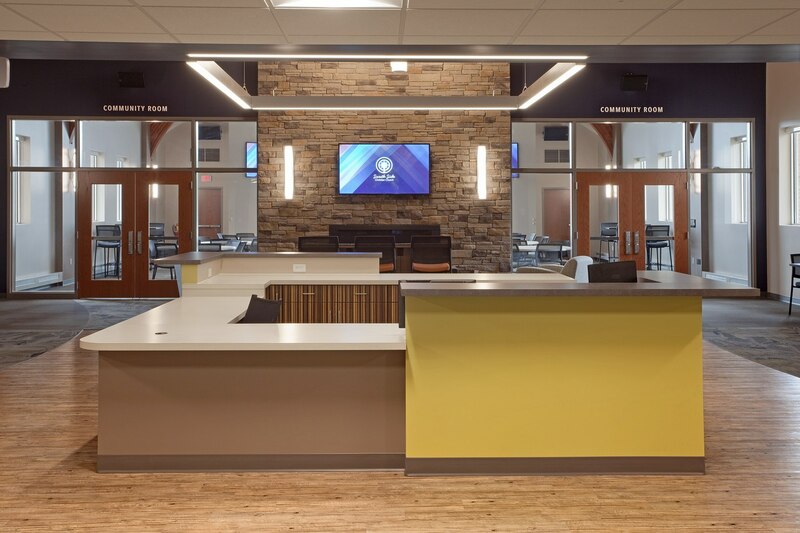 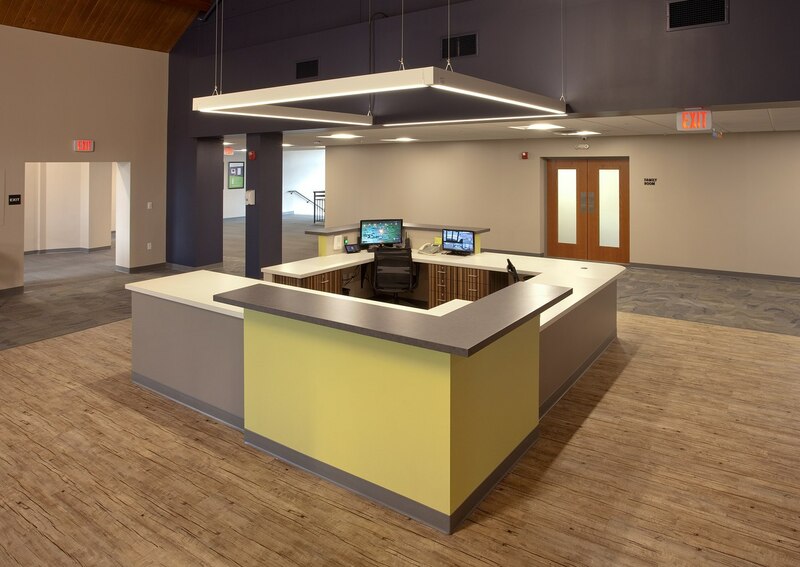 By gutting the gym, they were able to create a new, expanded lobby so that it serves as true Third Place connecting space. 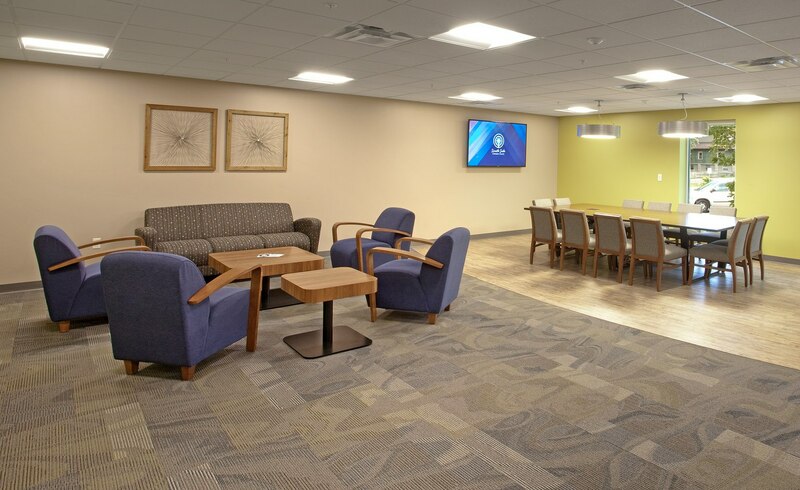 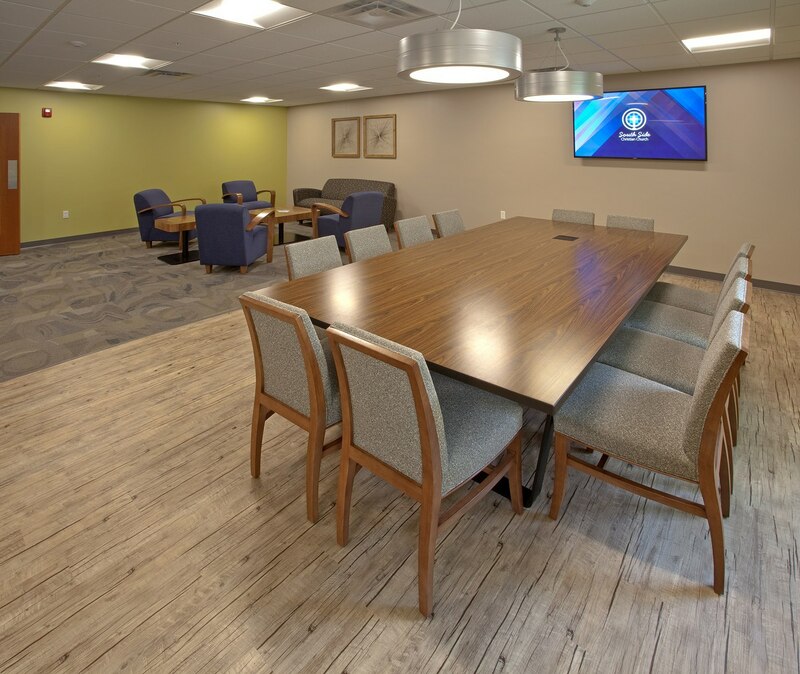 Aspen also created a new community room where 50-100 people can easily mingle in between services. 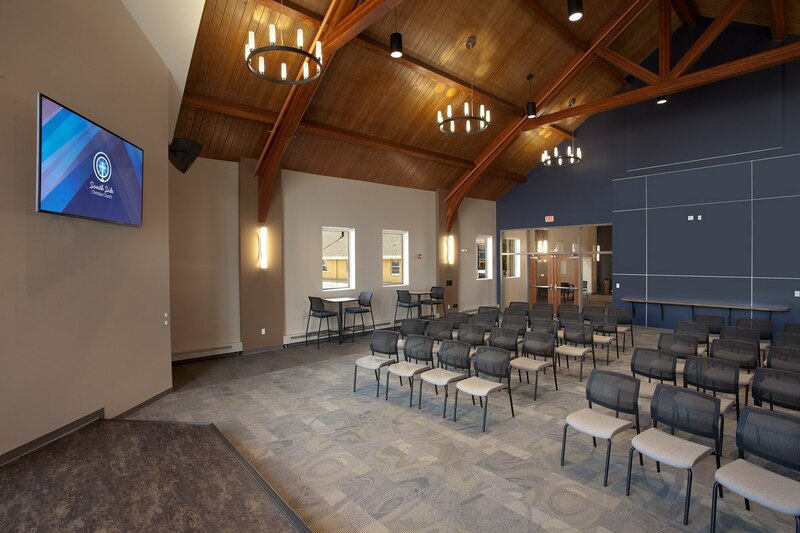 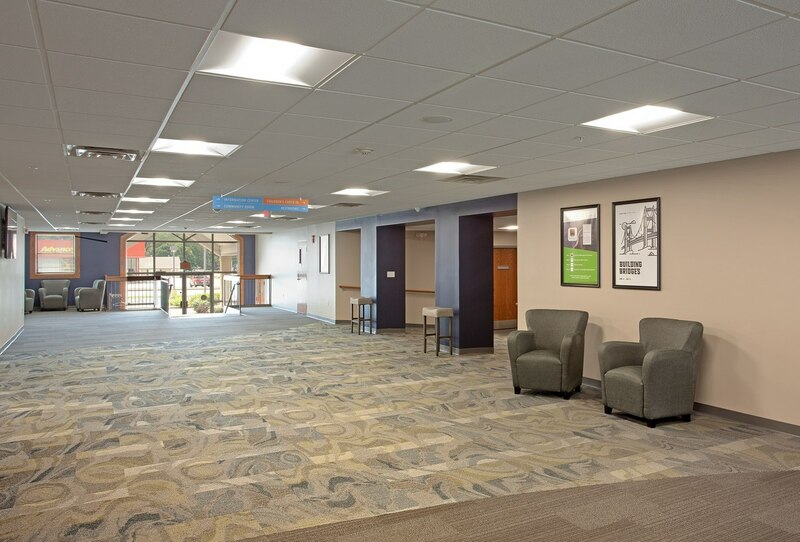 Glass windows, walls, doors, and a fireplace allow church attendees to see into the room from the church lobby, and people on the street can now see signs of life within the church, both on Sundays and throughout the week. 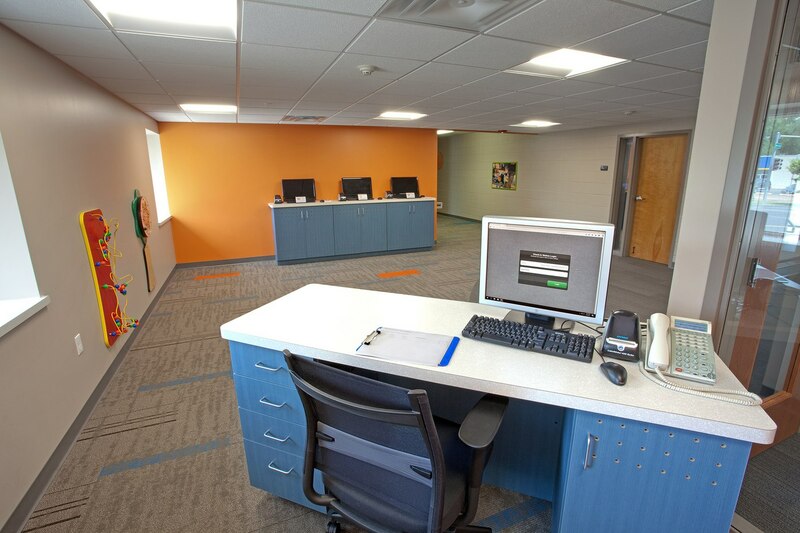 Aspen updated South Side’s nursery and children’s check-in area to make them safe and secure. 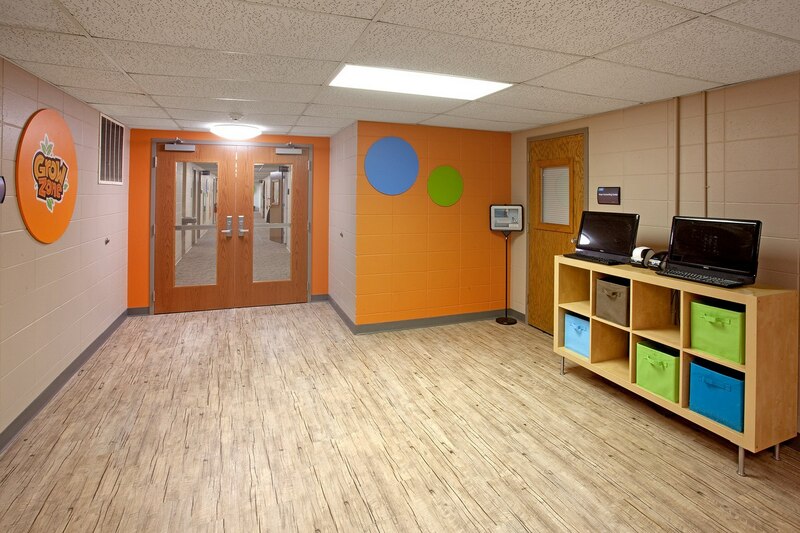 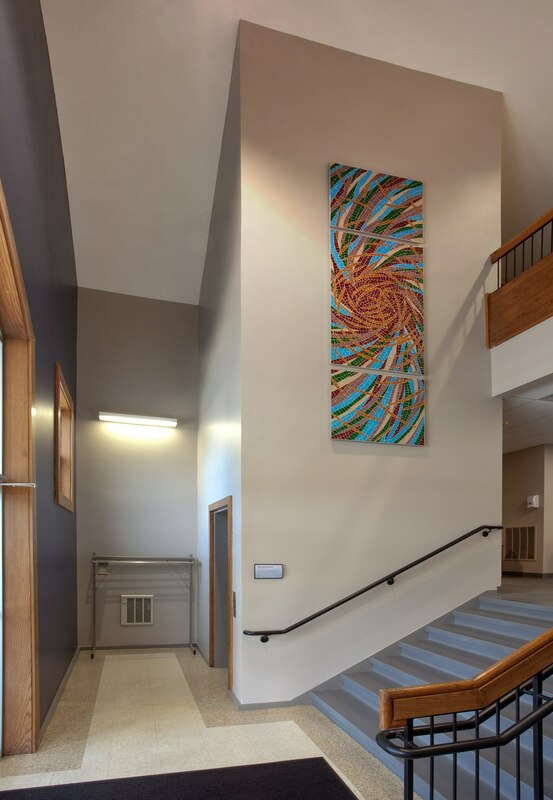 We adapted underutilized classrooms closest to the sanctuary and turned them into new ADA-compliant bathrooms within the central lobby.